This Fender Blues Junior came to us with quite a lot of buzzing. We implemented a few of our standard mods (DC heater supply and bias reset) and it made a big difference. The customer can now use the amp in the studio without any excess noise. You can see part of the modification tucked away in the right hand side (follow the very lovely white and pink cables!). 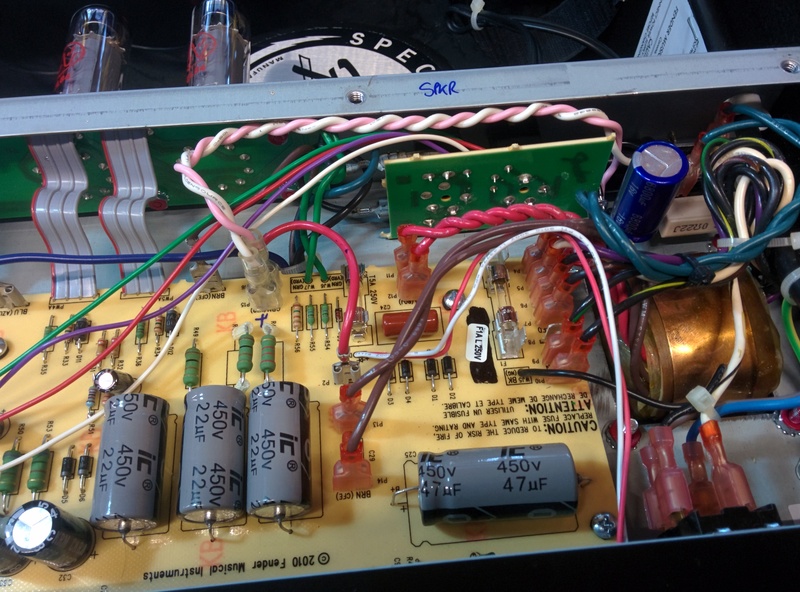 There are a multitude of modifications that can be made to this amplifier to improve things, some of which are detailed on our specific Fender Blues Junior modification page.